Abstract: There are various notions of largeness of conjugacy classes in topological groups: the Rokhlin property, the strong Rokhlin property, and ample genericity. We give examples and state properties of groups with large conjugacy classes . Then, we focus on the group of all homeomorphisms of the Cantor set, H(K). Answering a question of Kechris and Rosendal, we show that H(K) has ample generics, that is, we show that for every m the diagonal conjugacy action of H(K) on H(K)^m has a comeager orbit. I plan to sketch the proof of this result in as many details as time permits. Abstract: We present results exploring the relationship between dominating and unbounded reals in the Hechler extension and its variations, as well as the relationships between the extensions themselves. We describe the impact of these results on some recent work of Brendle and Loewe. The main structural result is a representation theorem for the dominating reals in the Hechler extension: every dominating real eventually dominates the sandwich composition of the Hechler real with two ground model reals that monotonically converge to infinity. From this we derive the answer to a question due to Laflamme. 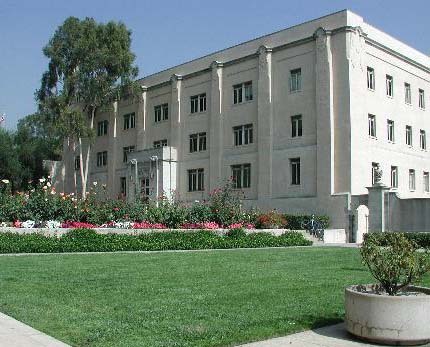 Take a look at the Caltech campus map. There is free Saturday parking in underground structure #126. Feel free to park in any of the commutor spaces (these are marked by a red line). Talks will be held in Sloan building #37, Room 151 on the ground floor .